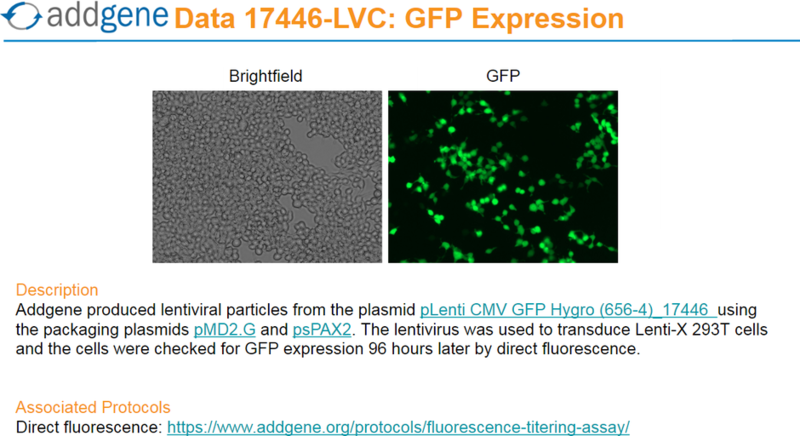 Ready-to-use Concentrated Lentiviral Prep particles produced from pLenti CMV GFP Hygro (656-4) (#17446). 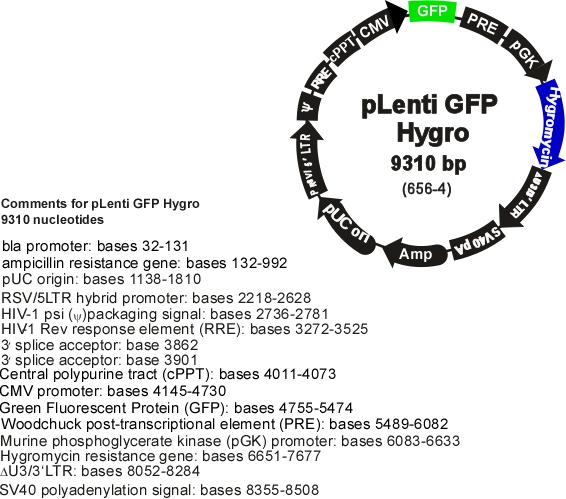 In addition to the viral particles, you will also receive purified pLenti CMV GFP Hygro (656-4) plasmid DNA. 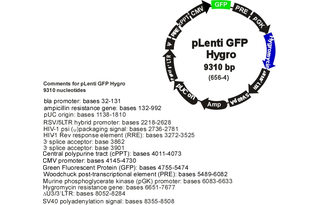 Concentrated lentiviral particles carrying the GFP and hygromcyin resistance. Direct fluorescence: Lenti-X cells were transduced with serial dilutions of 17446-LVC. 96 hours later, GFP-positive cells were counted. 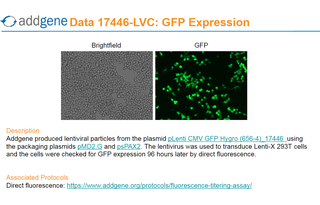 You can view GFP expression in 17446-LVC-transduced cells here or at the image section at the top of this page. Read our fluorescence titering assay protocol here. PCR confirmation of insert: PCR was carried out with primers targeting the CMV promoter and WPRE. The PCR product was visualized on an agarose gel for size confirmation.